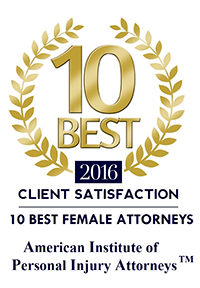 Why Choose Brooks & Brooks Law Firm? When you choose Brooks & Brooks Law Firm to represent you or a member of your family, you are choosing quality and personalized service. Brooks & Brooks Law Firm Attorneys strive to represent their clients to the best of their abilities. With a combined experience of 49 years of practice, you will receive the best representation possible. Choose Brooks & Brooks Law Firm for your next legal dilemma, whether that is a car accident, a medical malpractice, a slip and fall, products liability, contract dispute, landlord tenant dispute or a business dispute, YOU will always get our commitment to providing the highest level of service. We maximize the service provided to each client and the value of the client’s case. We know what it takes to help you get the best outcome possible after a devastating event. With a combined over 49 years of litigation experience, we bring our knowledge and litigation skills to every case. Brooks & Brooks Law Firm attorneys and our entire team are here to help you with your case!